Some things you just cant afford to get wet. Electronics is one of those things there are many others, books, maps etc. A cheap and simple way to waterproof things are well sealing waterproof bags. Water proof Velcro sealed bags. 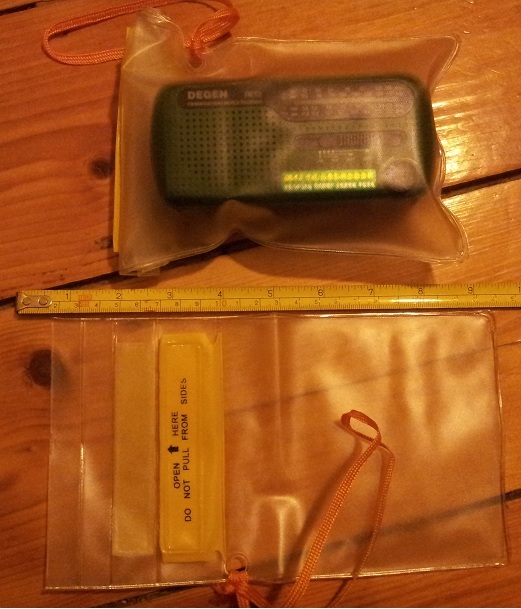 One containing a Degen DE13 radio and one empty. With ruler for scale. Place item inside, velcro closed, done. Posted in Long Emergency, Long term, Scram Bag, Sudden crisis. Sometimes its going to be hot and sunny, and sometimes its going to be cold. A beanie style hat made of wool or other warm material (such as polar fleece) that will retain heat even when wet. You may have a jacket with a hood built in but a beanie hat can got under this and you will be even warmer. A scarf in addition to the hat is also a good idea. Wide brim cotton bucket hat with vent holes and a chin strap. 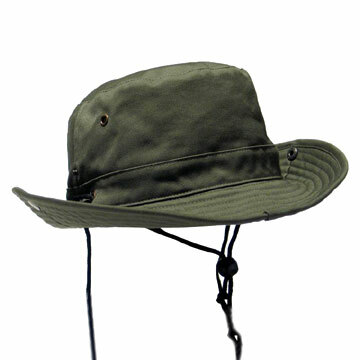 usually when it’s hot the sun is out and a hat can also protect your skin from sunburn so a brim on the hat is ideal. A baseball style cap will provide some protection but a hat with an all around brim is better, a bucket hat with a small all round brim is good. Cotton is a good material as it allows sweat to be absorbed and then wicked away and evaporate. when stored cotton survives being crumpled. Remember to protect your neck when it is sunny. 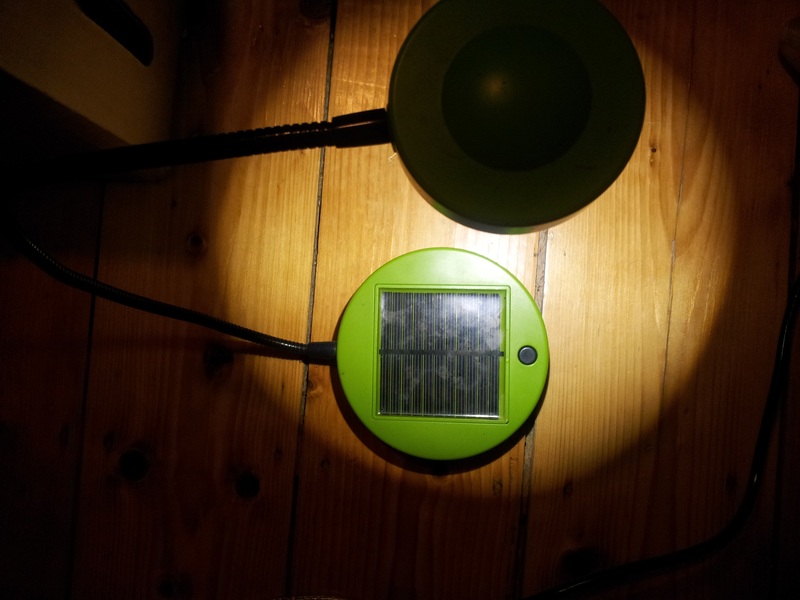 I have a bed side lamp I got from IKEA years ago, it’s solar powered with a removable block of batteries. So I did something dumb and inadvertently left the block out in the rain. Thinking the unit was well sealed as I retrieved it it made a sloshing sound, obviously not that well sealed. 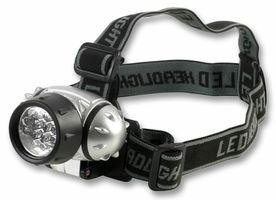 The 2 slots for the power output of the battery were it’s Achilles heel, and let the water straight in. As I unscrewed the block, water dribbled out of the screw hole, this repair/salvage job started looking dicey. The real risk was if there were complex charging circuits in the block. I finally opened it after almost losing 2 of the 4 screws bouncing on my wood floor. After about 5 minutes of using a hair dryer to dry the water away, I discovered there was apparently only a fuse as the sole electronic component. Fuses do tend to survive water quite well. Quite a relief really. 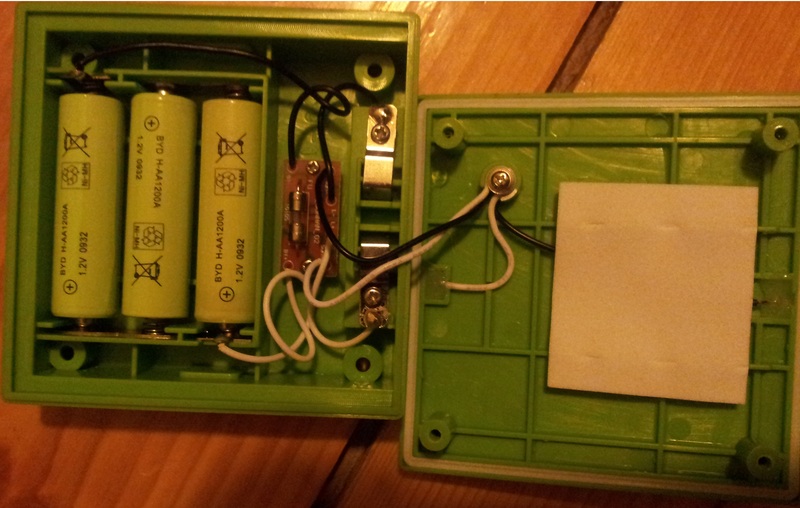 Other things I found out were there were only 3 AA cells (I had guessed 4) and they were stamped with 1200A, I speculate that means 1200mAh, low on the capacity spectrum of rechargeable batteries. The things you learn once you have the audacity to pop open the case. Amazingly enough, once dry the unit worked. Posted in Educational, Electrical, Repair, Solar PV. In Australia earthquakes that cause significant damage are extremely rare in the memory of European settlement. Even though the 5.2 magnitude earthquake centered in Moe Victoria received significant press coverage, there seemed to be no real information on safety during these events. For Australians living on a continental plate earthquakes are quite a mystery. For anyone in Victoria that experienced it, I’d like to say in the general scheme of earthquakes is rather small, and more of a wake up call than anything else. Just enough to crack some walls, drop a few things off shelves in the supermarket and create a few wet pants. What to do in an earthquake based on where you are when it happens. If you are indoors stay indoors, if you are outdoors stay outdoors. Look for the nearest safe place to take shelter. Don’t try to move too far during an earthquake, as earthquakes get larger its gets quite hard to move at all. Stay away from large glass objects. Avoid large objects that may fall on you. Stay there and look for an internal doorway to stand in, there’s usually enough space to place two adults in a door way. Doorways are extremely strong and will not break easily and provide shelter from falling material. Find a strong desk or table and get under it. the table should be strong enough for you to drop a 5kg sack of rice on it an be certain it wont break. Remember the table my start to vibrate and move around so you may need to hold onto the legs of the desk, this especially true if the floor is smooth like lino or wood. The biggest hazards you are facing are filling material from the ceiling and breaking glass from the windows. Don’t look at the windows, face away from the windows and and other large glass objects.Stay away from free standing shelves and tall furniture items as they will often fall and/or throw out their contents. Don’t use elevators or stairs, stay on which ever floor you are on, stairs can collapse and elevator shafts can distort trapping the elevator car between floors. Before and after an earthquake pets can get pretty crazy. Dogs and cats are often traumatized and may run away, they usually come back after a few days. Good luck, as this is one of the worst places to be. If you are at your desk get under it. If you are walking around, stay close to the center of the building around a support pillar, the real danger is the windows which may all shatter at once. Keep you arms over your head and face, there may be falling ceiling tiles from the false ceiling. The floors may partially collapse making a dangerous slide to a huge fall. Don’t use the elevator after the earthquake, use the stairs. There is probably an evacuation procedure, follow instruction and assist others. Get out of the general area as soon as possible. It may feel like a flat tire or strong wind gusts, that strangely continue when the car has stopped. Pull over to the side of the road. Don’t stop on or under bridges or over passes or near over head power lines or trees, if you can avoid it. Stop, put the hand brake on, turn on the hazard lights in your car. Turn the car off. Unlock the doors. Stay in the car. Keep your seat belt on. It’s easier to get out of an upturned car than get one off you. Try to move to a clearing (away from trees) and watch for falling branches and trees. Move away from the shore, wet sand may liquify and become just like quicksand, but stay far from steep sand dunes as they may collapse in miniature land slides. Get ready to leave as soon as its over, earthquakes and tsunamis are related, you need to get 2km away from any water body or 200 meters above sea level. Another reason to move is if you are near an airport that has been damaged some smaller planes may be asked to seek alternative emergency landing spots. Pilots will be looking at beaches and you don’t want a Cessna on your beach towel. Rivers and lakes are often on fault lines. If you are in the water get out of the water, the bottom may literally fall out of this water body and you might get sucked to the bottom with it. Similar to taking the plug out of a bath full of water. If the lake or river is within a few kilometers of the sea, a tsunami may roar up the river later on. All kinds of crazy things happen to rivers during earthquakes. Basically you’re safe but you will need to land before a storm brews up. I added this because people may be wondering where is a safe place to be during an earthquake and this is one of the few places. Count off seconds in your head or on a watch, firstly it takes your mind off something you cant control and it may give you information about how big the earthquake is and whether its the ‘main event’ or just a ‘warm up’. An earthquake longer than 60 seconds is going to be very destructive. Try to determine whether the motion you are experiencing is up and down, round and round, side to side, or a series of sudden jolts. this can also give you information about the type of earthquake you are in. Disruption of telephone, electricity, water and sewerage is common in earthquakes. 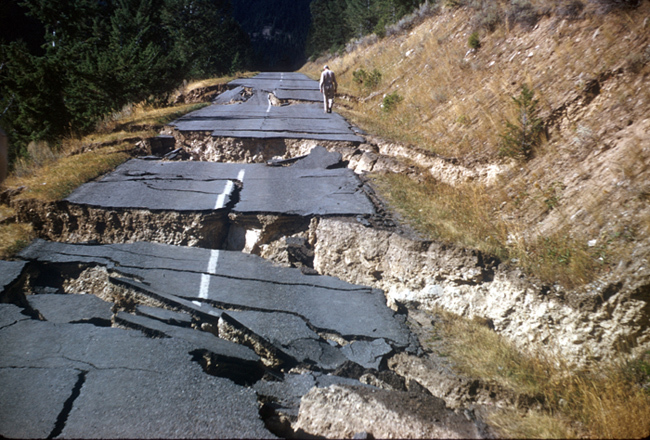 In larger earthquake roads and railway tracks can be damaged. Find out from radio, internet, TV what the damage was, how big the earthquake was centered and how deep it was. Specifically note if there is damage in your area to telephone, electricity, water and sewerage roads and rail way tracks. Traditionally radio has been one of the better sources of information on disaster information. 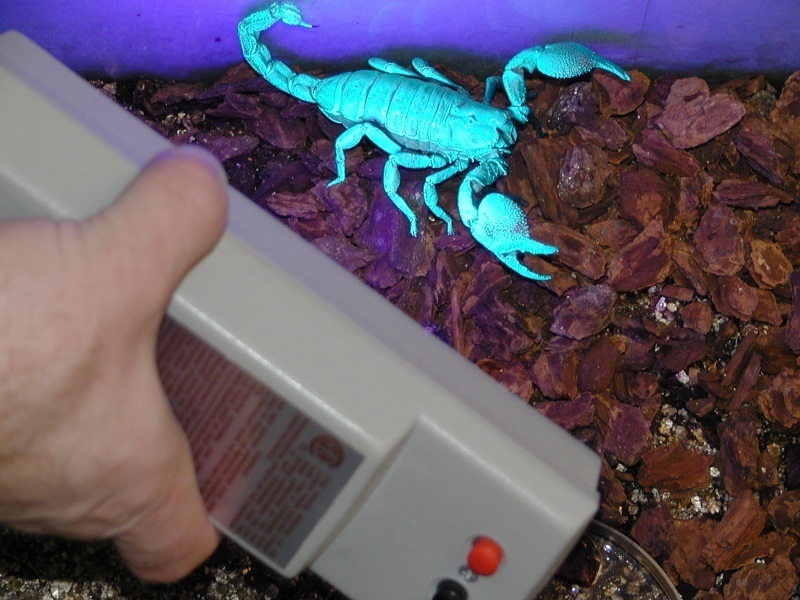 A battery powered radio is very useful for this. Your home: check for damage to the walls and roof, even if it looks OK it might be unsafe to live in because of structural damage. your roof may be broken and need a tarp to remain waterproof. Damage assessors and engineers will probably start visiting houses to see what is safe and what needs repairs. You may need to call a number to get an appointment or an estimate of when they will arrive to check your house. If you are at home turn off all non essential electricity, the electricity grid may be damaged and by all of us doing this we are putting less strain on the grid as a whole, reducing further damage. Keeping just one light bulb on helps you know there is still electricity. Don’t make unnecessary phone calls the phone grids, wired and wireless may be overloaded. Certainly ring people you care about to tell them you’re OK, and see if they are OK, but keep it brief. See if your neighbors are OK.
Don’t flush the toilet until you know sewerage systems are operational, not so important if you are not on this grid. Don’t use tap water until you know the water hasn’t been contaminated, and that this system works. You may be instructed to boil or add bleach to water for drinking. Earthquakes can be unpredictable in the way damage is distributed. A great deal of factors (other that the type and magnitude of the earthquake) will come into play, soil type, water table, slope, soil erosion and instability, temperature and the weather. It is quite common for rain and thunder storms to come just after an earthquake, just what you need when your roof is damaged. Posted in Collapse scenario, Educational, Long Emergency, Long term, More to come, Sudden crisis. Some people would like everything they posses to be made from natural materials, and there are good reasons for that thinking. However there is one material that is really special for a lot of reasons. It doesn’t rust, and therefore can last for several lifetimes. The most common varieties are 18/8 and 18/10, what these numbers refer to is the composition of chromium and nickel respectively, that is mixed with the iron to create this steel. Often these numbers are stamped into the item, and commonly with the terms ‘Rost Frei’ (rust free) or ‘INOX’ (Inoxidible). If the steel rusts its not stainless steel, however some rust spots on stainless steel are the result of other ‘lesser’ steels coming into contact with stainless steel and leaving their rust on the unblemished surface. Stainless steel also has anti-bacterial properties due to the chromium levels in the metal, this makes it an ideal material for items related to cooking and eating. Because of its anti rust properties its good for marine related uses too. Stainless steel fork: A few bound (prongs out) onto the end of a stick: fishing spear tip. Stainless steel forks bound onto stick to make a fishing spear. Stainless steel knife: cheap abuse proof sharp knife? Get a standard stainless steel butter knife and sharpen it with a disc grinder, the knife will be close to razor sharp and won’t rust or dull easily. Stainless steel spoon: Arrow head!- hammer flat, cut off sides to make a sharp ‘V’ point, sharpen edges, cut off excess tang (handle), done. Normal stainless steel teaspoon showing how a broad head arrow point can be made from it. Stainless steel Pot, boiled water distillation, from salty or dirty to pure distilled water, stainless steel make this possible, a normal pot would rust eventually. If you come across items made from stainless steel, I suggest you start collecting them even if you see no immediate application for them. Think of them as good metal… forever. I once talked to a guy who did some welding in the outback of Australia in a mining town where they were routinely extracting tons of lead, silver, and beryllium. He was an immigrant and thought of stainless steel as being superior to normal steel and slightly not vastly more expensive. He asked for some stainless steel from his employers to complete the welding work he was doing, every one gave him a reaction as though he had asked for platinum or gold. Feeling like he had stepped into a parallel universe, he was wondering why there was no Stainless steel anywhere. there was no other material he could have used to complete the work either. Eventually one of his bosses quietly lured him away from the others and whispered “Don’t tell anyone, but I’ve got some Stainless steel”. He was later ( in secret ) given access to a secret locked box perhaps the size of 2 shoe boxes which had about 40 random pieces of stainless steel in flat and pipe form. Most were clearly off-cuts salvaged from other work. The guy took a few pieces that seemed useful to the task at hand, but didn’t have enough to complete the job. Later on another one of his bosses (a close friend of the first boss) lead him aside and essentially repeated the same process giving him access to a different secret stash of stainless steel, where upon he had enough material to complete the job. Interestingly neither of the bosses knew of each others Stainless steel stashes, the paranoia and secrecy surrounding this scarce material was so intense. Once he had acquired all the Stainless steel, each of the bosses realized that he had got stainless steel form more than one local source. Later on both bosses approached him on separate occasions to be reassured their source of Stainless steel had not been revealed and to inquire about where the other Stainless steel parts had come from. A few times subsequent, several people on the work site quizzed him about his source of stainless steel, to which had had to remain evasive. He thought it might have been part of an elaborate practical joke, like stories of the giant carnivorous red kangaroo that’s 25 feet tall with huge sharp teeth, but they were just too serious about it, and there was no punchline later on. Some people in the area even speculated enviously over who might be secretly hoarding stainless steel, in the same way we might speculate who had gold bars under the bed. Apparently one of the few source of stainless steel in the town was a small truck that would travel all across the outback towns selling scrap stainless steel arriving at each town for a day about once or twice a year. Remember that this happened in a prosperous mining town with a buoyant economy, long before peak oil was to occur. Why the paranoia and scarcity about stainless steel? Stainless steel was imported to the manufacturing bases in capital cities which were over 1000Km away, and most of the mines didn’t use stainless steel for their equipment so very little of it ever went near a mining town. So short of hacking up or melting down cutlery and cookware (which had an equally large transport cost) there was no real source of this material. While this parable is a bit of an aside it does demonstrate that scarcity of a material or resource really does determine its value and the way people begin to act around scarce resources. The irony of the story was, if he had asked for solid silver to do the work, people would have been quite accommodating, they had it in several different nugget and bullion forms. Scarcity is often; right here – right now, rather than; somewhere – eventually. I think you’ll look at cutlery differently from now on. Posted in Health, Long Emergency, Long term, Resourses - physical, Sudden crisis. When I started searching for information on fish traps I was originally thing of small traps that could be made from flexible branches or maybe stainless steel mesh. Certainly a small fish trap would be good if you are traveling to the local river or lake. Fish trap at Poppit sands, Wales UK. 250m long approx. I was really blown away by the simplicity, permanence, age and scale of this thing. It’s estimated to be 1000 years old, but no longer able to be used as the boulders have sunken into the sand. The latest Google earth pictures are taken at high tide and this structure can’t be seen because of that (the original pictures were taken in 2006 at low tide). 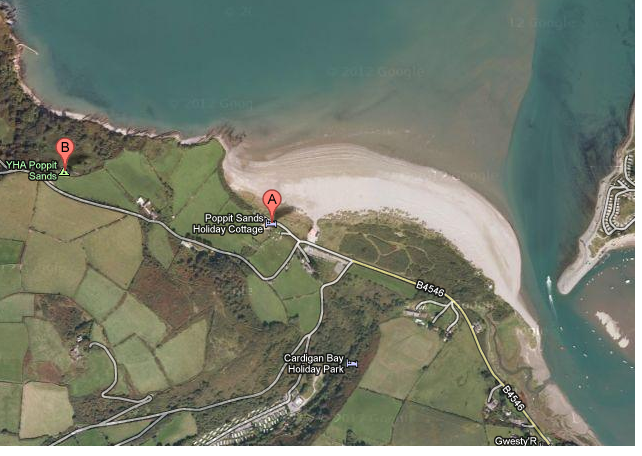 Its worth pointing out that the trap is constructed close to a major estuary and estuaries attract fish. This type of structure might not work as well if not placed near an estuary. Other important feature are the shallow sloping sandy bottom of the sea bed and the local abundance of rock. The natural rock reefs attract fish as the tide is lower and a fish swim out of the estuary. Fish traps were so efficient they were banned from fresh water by the Magna Carta (1215) because they could simply empty the entire river of fish, they were also a hazard to shipping. 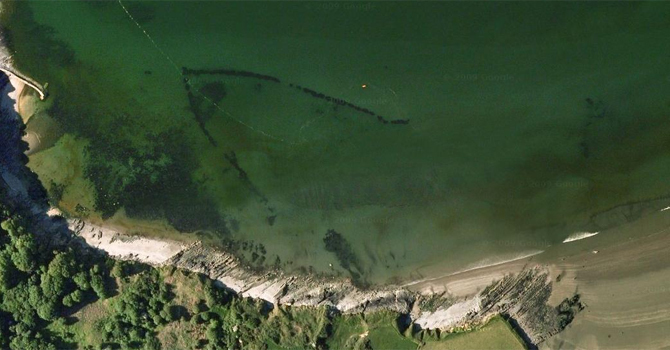 Poppit sands fish trap near very large estuary. As the tide flows out the water level drops and some fish will be trapped in the artificially constricted reef. Some modern observers believe that the fish were only netted at the opening apex of the trap. I suspect that because there are two large opening in the sides of the trap (seeming to be too large for coincidence) the fish may have also been netted there. Likely people were sent into the trap at low tide to scare the fish into one of the 3 openings, possibly using a moveable drag net in the process. To allow storm surges to move through he trap better and make it less likely to be destroyed in a storm. To make the wall seem like less of a trap and to make the fish accustomed to swimming through the gap. Prevent buildup of sand in the trap. Damage from storm surges that was not intentional. I have a feeling the construction of this structure would have been a community effort and likely the use of it would have been a community activity, certainly the number of fish caught could have easily fed a village. If you consider at each of the three openings, two people holding the net and one collecting the fish in baskets, you are looking at a minimum of nine people not including the fish scaring and the transporting of the baskets to shore. I’m really not sure and I’ll have to research this some more. As even light rock weight about 2700 Kg per cubic meter, It’s not going to be easy to move these boulders very far easily, so a the local source of rock is key. Perhaps the local river system was used to transport the rock from upstream. Of course moving things heavy on water is easier because of boast and rafts, and submerged rock looses some weight due to buoyancy. so perhaps the rocks were suspended in the water and moved with boats and rafts or possibly rolled into position under water using logs and smaller rocks as pivots and levers. I suspect the proximity of the river would have meant there would have been boats available. Nothing attracts boats like a river mouth or estuary. Which part to build first? Apex stones first? place furthermost stones in water first and work your way back to the shore? Start at the shore and use the out going current to assist dragging the rest of the boulders into place? Utilization of leeward scour? A solid rock place on sand will create a scoured out depression in the turbulent current leeward (down current) from the rock, eventually the depression will become so large the rock will roll in this depression. If the slope of the floor is correct and the rock if roundish, it will continue to roll until it falls into the depression created by another rock. If the walls closet to the shore were created first the rest of the rock might have just been dumped in the trap and the natural out going current could have done a lot of the work. Posted in Food and Gardening, Long term, More to come.